Google Chrome holds a market share of about 25% of the overall web browser market. It is growing faster and gaining more market share by the day than all the browsers out there. Most of these users seek to extend their usage of the Google Chrome browser to their work environment. The reason Internet Explorer is the dominant browser used in most companies is because Microsoft makes it easy to centrally deploy, manage, upgrade, and configure their web browser across a large number of Windows systems in the enterprise. Google understands this and released Google Chrome for Business that enables an Enterprise IT department to easily configure and deploy Google Chrome on Windows, Mac, and Linux environments. In order to set Google Chrome Security Settings for the Business edition, you need to download couple items first from Google. They include the Google Chrome MSI and the ADM files which we will use to set Security settings for Google Chrome. Google Chrome for Business is available as an MSI installer package. What this means is that it allows enterprises to centrally roll out and update the browser using Group Policy or any other standard deployment tools to all their managed users. The next step is to securely configure Google Chrome. Google provides policy templates, an ADM and an ADMX template. There are templates available for Linux with JSON files and Mac with MCX configuration as well. The following sections are recommendations for securely configuring Google Chrome for your enterprise. Please make sure to test the recommended configurations and tweak them as appropriate. This enables your enterprise to customize policies for Google update. The recommendation is to enable the Auto-update function in Google Chrome. If this option is not acceptable to your IT department for testing, reporting, or other management reasons, the Auto Update functionality can be disabled and you can follow the normal patch management/deployment cycle. Enable the Allow installation option to install Google Chrome updates including security updates using Google Update/Google Installer. Under “update policy override,” select the Automatic silent updates option where updates are automatically applied when they are found via the periodic update check. Check for auto updates once every 24 hours or 1440 minutes. Under Preferences, enable the Auto-update check period override and set it to a value of 1440. Configure the Proxy Server settings. The recommendation is to customize via a .pac proxy script. This option enables remote clients to discover and connect to the user’s machine even if they are separated by a firewall. Disable the “Enable firewall traversal from remote access host” option. Disable the Default Plugins setting. Customize plugin functionality through an approved whitelist by using the Allow plugins on these sites. Leave the Default popups setting to “not configured.” This option will enforce the BlockPopups behavior by default and the user will be able to change it. Enable the Default Geolocation setting and choose the “Ask whenever a site wants to track the user” option. Google Chrome frame is not recommended as a secure alternative to render HTML in legacy browsers at this point. This setting controls the default search provider to be used when a user types text in the omnibox that is not a URL. There is no recommendation from Security for a default search provider. We recommend leaving it to the user to choose a provider of their choice. This option lets us customize the extensions the user can or cannot install. Make sure that all the extensions if any are approved and have a valid business case at your company. Disable this functionality and whitelist the approved extensions when required. Enable the Configure extension installation blacklist and choose a value of ‘*’ to blacklist all extensions. Disable the Configure extension installation whitelist unless there are approved exceptions. There is no recommendation for the default homepage. Users should be given the flexibility to configure it to a homepage of their preference. Using the default password manager built into Google Chrome is not recommended as a viable password storage mechanism at this point. Disable the Enable the password manager option to prevent the saving of passwords or using already saved passwords. Disable the Allow users to show passwords in Password Manager. This prevents the password manager from not showing passwords in clear text in the password manager window. HTTP supports authentication using the WWW-Authenticate request headers and the Authorization response headers. Disable the basic access authentication method, which transmits credentials in plaintext to the server or proxy. Configure the authentication schemes to “digest, ntlm, negotiate.” The default Chrome behavior chooses Negotiate first followed by NTLM and finally the digest mode. Choose the CNAME lookup option to “not configured” for determining the canonical name of the server via CNAME lookup instead of using the server name. Choose the authentication server whitelist to “not configured.” With this option, the servers in the Local Machine or Local Intranet security zone are in the permitted list. Disable the Cross-origin HTTP Basic Auth prompts option. This controls whether third-party sub-content on a page is allowed to pop-up an HTTP basic authentication dialog box. This is disabled as a phishing defense. 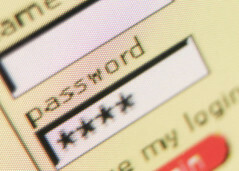 If a challenge comes from a server outside of the permitted list, the user will need to enter the username and password. 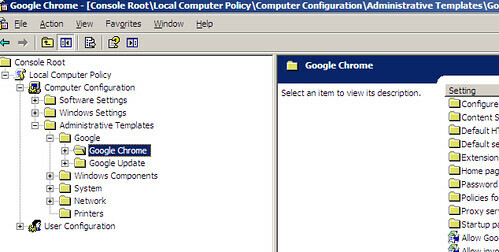 This section enables us to specify the proxy server used by Google Chrome. Configure it to your current proxy settings. If you are using IE, you can easily replicate those current settings. It is very important to choose a secure password to help protect your identity and information on the Internet. 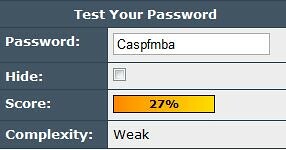 I previously wrote about strong password suggestions and how easy it is for bad guys and hackers to guess your weak password. In this article, I will walk you through a process on how you can create passwords that are not only secure but more importantly easy to remember. After all, you don’t want to forget your secure password. At the end of every step, I will show you how strong that password is. 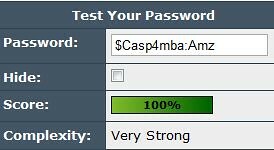 The above password is reasonably strong but let us make it better by adding special characters. Special characters are those you get when you press <shift> key plus one of the numbers on your keyboard. Again, there are ways to add more complexity to make it a strong password, but for the sake of remembering a password, choose a pattern and stick with it. You can choose the major words and pick the first alphabet (BoA for Bank of America), choose a website/company’s stock name (amz for Amazon) or some other pattern. But choose one, and stick with it. I will recommend choosing three different passphrases. One for generic everyday accounts (e.g. some coupon site), another for more important accounts (e.g. your Gmail account) and finally another for very critical websites (e.g. your bank account). Now, go try it yourself!